Entering the splendid gleaming entrance lobby to the Hotel Botanico Tenerife, a Canary Islands institution and member of the ‘Leading Hotels of the World’ you are transported to another era – one of graciousness, good manners and quality. If they were looking for a real live set for a 70’s TV drama set in a luxury traditional hotel this would be the perfect location. That is not to say that The Botanico is stuck in a time warp or a bit curled around the edges although fans of cutting edge modern minimalism might find it all a bit too ‘ mother of the bride’. 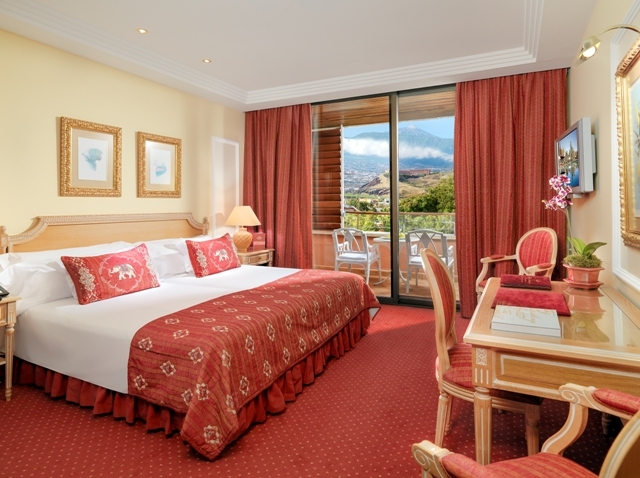 Hotel Botanico Tenerife revels in high quality furnishings, floral patterns and baroque style gilt mirrors, sumptuous soft sofas and super service. According to local gossip the owner’s wife is known to drop in unannounced to check standards are properly maintained. Perhaps she even runs her fingers occasionally over in-house objects d’art, valuable antiques and colourful paintings by leading Canary Island artists to check for dust. Such hands on attention to detail would not be out of place here. 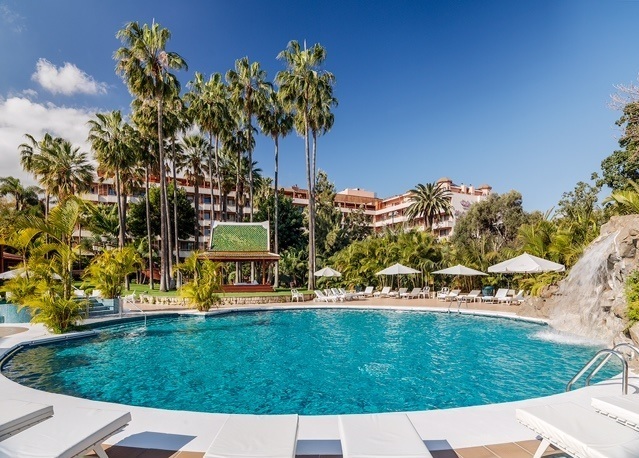 The Botanico vibe is of a stress free pre- mobile- phone era, though you do see a lot of people married to their smartphones and tablets by the landscaped pools shaded by lush foliage and a rock waterfall. Before I have time to extract myself, my carrier bags and various pieces of luggage scattered around the back of the taxi the young porter in a snowy white jacket with gleaming brass buttons has taken charge of the chaos. Oh what bliss. It was all neatly stowed away in the dressing room off my junior Ambassador suite by the time I arrived upstairs. A flute filled with fresh tropical juice offered from a silver salver is this hotel’s calling card at check in presided by a charming efficient woman Pino Cabrera who is reception manager and has worked here for years. 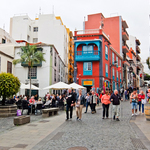 It sets the mood for my one night chilled out stay – the calm before the storm – in advance of a fairly strenuous bout of activity, participating in Tenerife’s second annual walking festival. Anyone who has visited the Northern part of the island will know that the terrain is…..lets say….challenging even for real hikers and gradients can be especially testing for more leisurely Sunday walkers like myself. 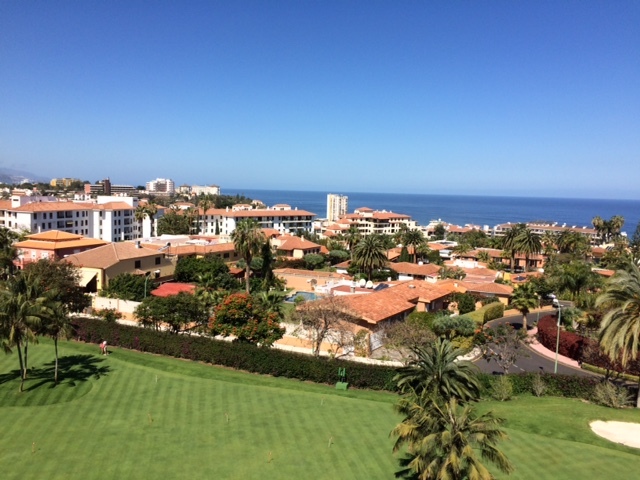 The sea views from my bedroom were lovely, less so the sprawl of tired looking shopping malls that stretched off the nearby road towards Puerto de La Cruz whose beer halls and ‘wurst’ stalls were the domain of the German invasion of tourists. Confining my further exploration to the hotel precincts I wandered around its gardens imagining I was in Thailand because of the lake of multi coloured carp and the delicately carved little ‘folly’ spired temples. In the search of the perfect outdoor breakfast spot next morning snow capped Volcanic Mount Teide in all her 3,700 meter high glory towers above. The buffet breakfast itself is one of the most extensive and best laid out I have yet encountered. And that includes those in top US and Middle East hotel properties. The buffet brunch was equally excellent with a choice of Canary Island traditional dishes beyond the usual international fare. A couple of starters sampled including quite delicious fresh prawns and avocado set out among dozens of cold dishes. Grilled sea fresh Atun (Tuna) with Papa Negra (Canarian potatoes) was accompanied by the famed red and green mojo sauces that give the final touch to many dishes on the island. Succulent spit roasted lamb completed my gluttonous brunch before a tasting of several fantastic puddings. 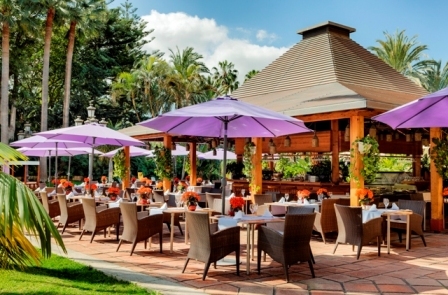 This all you can eat generously timed brunch from 12 onward is great value for €37 `The Botanico’s other dining opportunities includes a renowned oriental restaurant, Spanish/international La Parriilla with its quaint ceramic tiled fountain and bodega interior among the four in house restaurants. 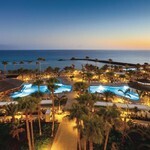 Patricio Feier, affable sales and marketing area manager for Hotel Botanico reports that much of their business is repeat, more or less equally divided between English speakers and Germans who have been coming for decades. 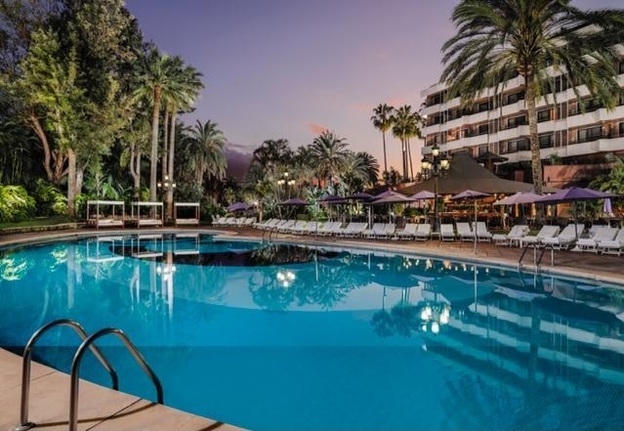 The hotel also attracts its fair share of celebs from Spanish soap stars to regular visits from the Royal family of Spain, the late Michael Jackson and Bill Clinton after whom the top suite covering 580 metres with its own private Jacuzzi and 3 bedrooms is named. Hotel Botanico boasts a multi award winning Oriental spa. Guests are led along a covered tiled pathway towards elaborate Thai carved goddesses who adorn the automatic wooden doors opening slowly to admit you within. A restful ‘thermal circuit’ starts beyond the treatment rooms. I tried all of the wonderfully relaxing rooms, from aromatherapy to Turkish steam room, Laconium to showers with tropical mist clouds and the freezing ice temple finishing in the fast flowing warm thermal pool. And just when I felt the chill out could not be more chilled I found the row of open air waterbeds in a secluded courtyard off the spa. Climbing on one the rocking lulled me into a deep brief sleep. 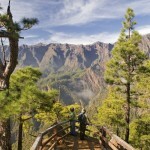 These were moments I would re-live huffing and puffing up and down steep coastal paths on a series of Walking Festival walks in the days to come, though all that exertion was offset by a unique and beautiful insight into Tenerife’s secret places.